Demilitarize! 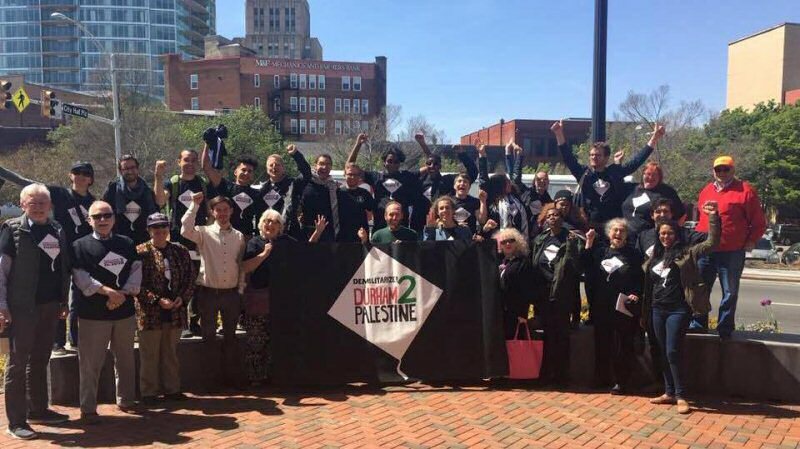 Durham2Palestine coalition is made up of ten local organizations in Durham: AIME (Abrahamic Initiative on the Middle East), Black Youth Project 100 – Durham Chapter, Durham for All, Inside Outside Alliance, Jewish Voice for Peace – Triangle Chapter, Muslim American Public Affairs Council, Muslims for Social Justice, SpiritHouse, Students for Justice in Palestine – Duke, and Students for Justice in Palestine – UNC-CH. 04/10/18 Gaza Children Celebrate the Life of Martin Luther King Jr.